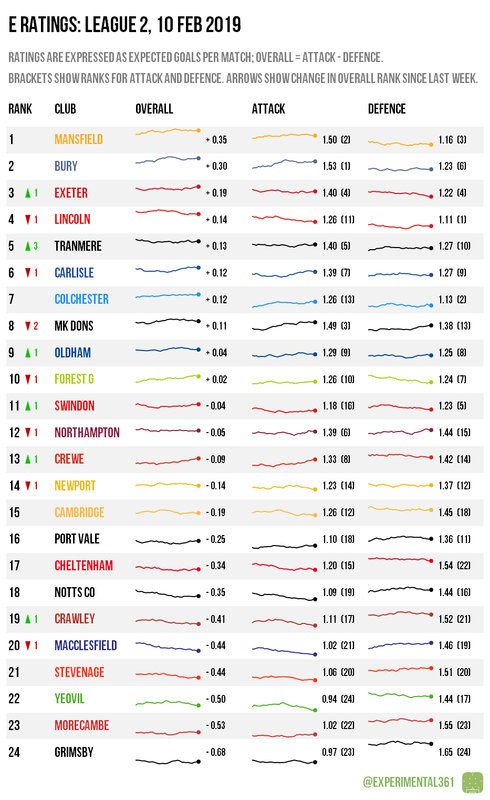 Mansfield and Bury have been the standout performers this season, although Exeter‘s recent resurgence has seen them close the gap. At the bottom I’m still not convinced that Sol Campbell was the right appointment for Macclesfield as their performances have been declining steadily this season, although there are plenty of other teams who are struggling. 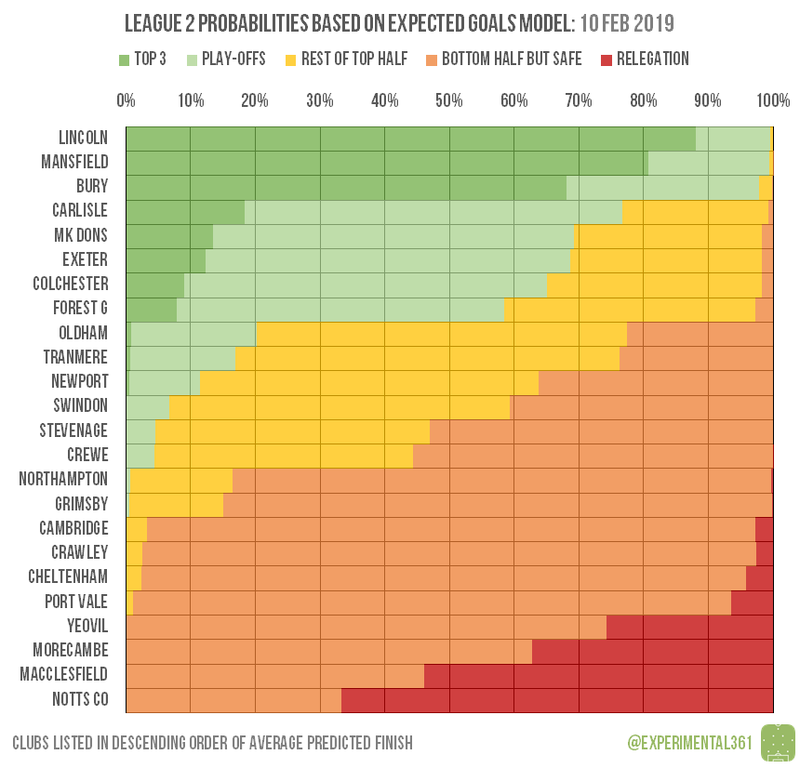 It’s increasingly difficult to look beyond the current top three for automatic promotion this season, so the real drama at the top is likely to be in the play-offs. Five clubs from Carlisle to Forest Green have a better-than-50% shot at making it, but obviously only four can. At the bottom, a huge win for Notts County has ratcheted up the tension in the relegation battle too, with Yeovil, Morecambe and Macclesfield all looking vulnerable.